The version of Winners and Losers showing at the 2018 SummerWorks Festival is adapted from the original play of the same name, written and performed by Marcus Youssef and James Long. 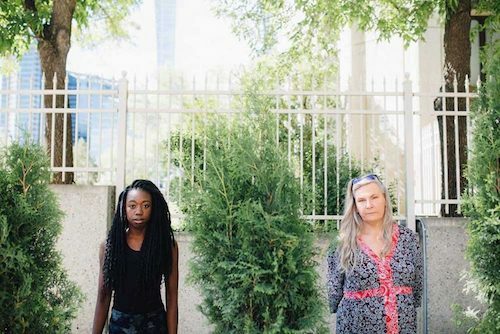 Youssef and Long, like Valerie Planche and Makambe S. Simamba, are friends, artists making work in Canada, and of markedly different backgrounds (by which I actually mean backgrounds and not “background as a euphemism for race” – though also that). In the show, Planche and Simamba play a game where they throw out nouns from “TTC” to “Space Soldiers” and discuss whether they’re winners or losers. As the game wears on it gets more difficult and complex. Planche, who is older and white, needles Simbaba about not knowing history. Simamba, who is younger and Black, underscores the distinct differences her racialized experience creates in her experience of the world. On some things they mostly agree and some are matters of semantics, but sometimes they are clearly at odds in a way that feels very familiar to every discussion people have right now about media portrayals of underrepresented groups: Is it good? For whom? Is it entertaining? For whom? Who is the intended audience? There’s a lot of room for nuance, a lot of moments when I thought, well, you could really make a strong case either way. The nuance, in the end, is what I most specifically appreciated about this lively and revealing work. It becomes harder and harder to just dismiss things as winners or losers, and the categories get qualified: “a dead winner,” “a racist winner,” and so on. Some of the work is scripted but some is clearly improvised, and in some moments it’s difficult to tell whether one of the actors is acting hurt or actually reeling from a verbal comeuppance. Winners and Losers in this iteration is adapted by Planche and Simamba plus director Jenna Rodgers, and they’ve retained both the humor and all the edge of the original. It’s not an easy work, but it is thoughtful and rewarding. Winners and Losers plays at The Theatre Centre, Franco Boni Theatre, 1115 Queen Street West.